It is almost fall, which means it is time to think about making some stews, braised meats, and soups. I love my fresh veggies, fruits, and lighter foods in the summer, but there is something about preparing a dish all day that makes me feel all warm and fuzzy. A neighbor gave us some baby back ribs the other day, and I have been thinking about them all week. 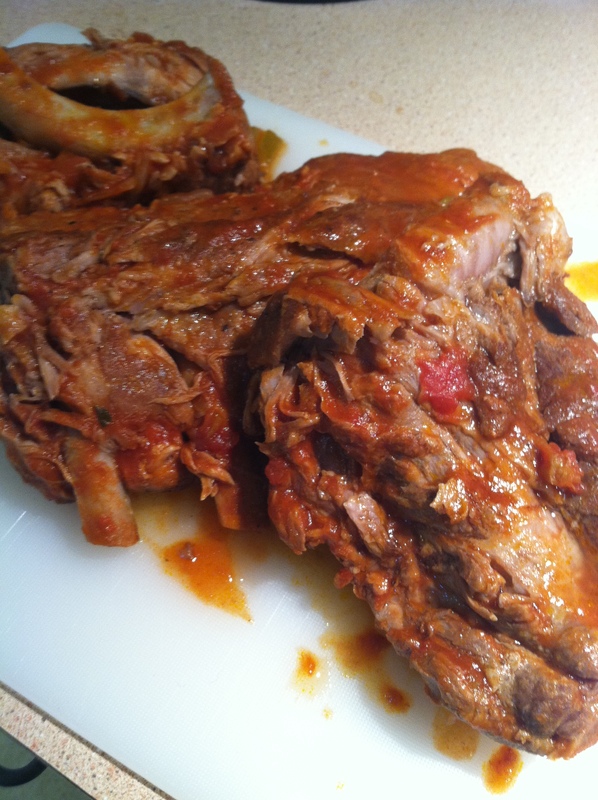 I looked through my cabinets and fridge and decided to make a pork rib Ragu. 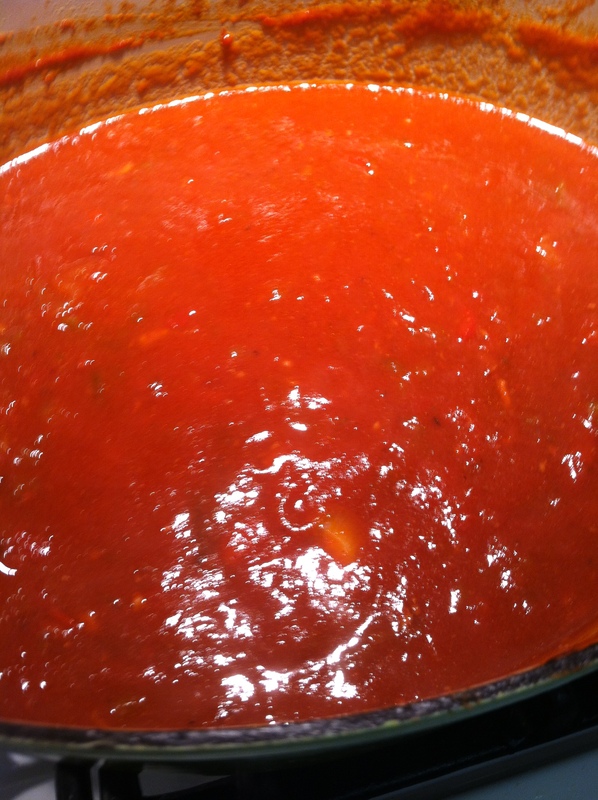 A Ragu is a meat based sauce and something that I have made a few times before. 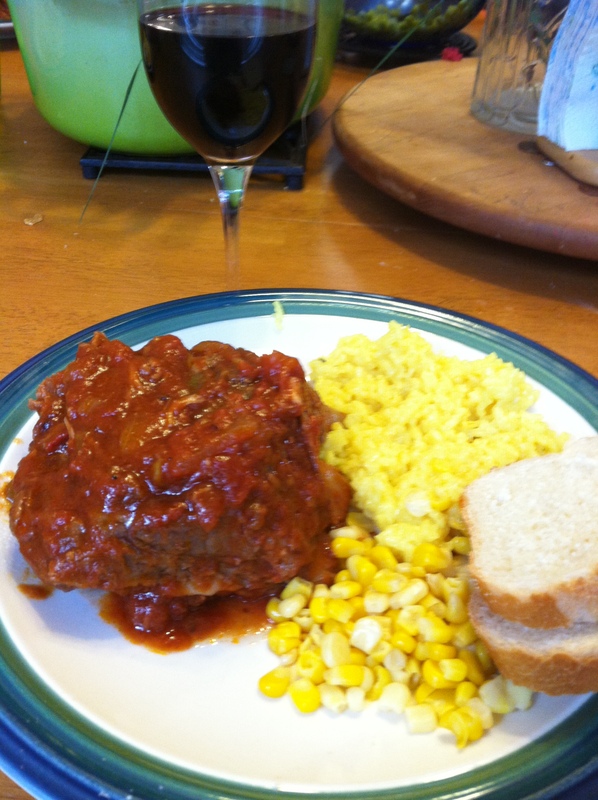 Once it was a Ragu with short ribs, so I knew I wanted to prepare it in a similar way. I pulled out my handy Dutch Oven and browned up my ribs in a bit of oil. Make sure you add plenty of salt and pepper! I took out the ribs and added a pat of butter. Then I added sliced onions and peppers. Salt and pepper again. 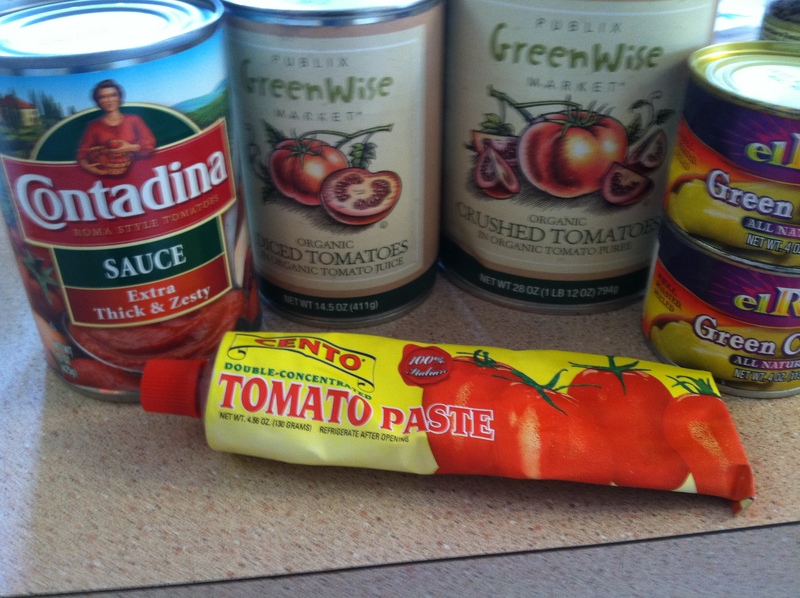 Then I added these; 1 can of tomato sauce, diced tomatoes, crushed tomatoes, 3 cans green chilies(whole and then rough chop or can use sliced if you have it), a few cloves of garlic, and a couple squishes of tomato paste. I buy the tube. It lasts a long time, and you don’t forget about it in the back of your freezer. Don’t forget to add 1/2 a bottle of red wine. Also, add 1 bay leaf and a heaping tablespoon of sugar. Cook for about 10-15 minutes, then add the meat back in. 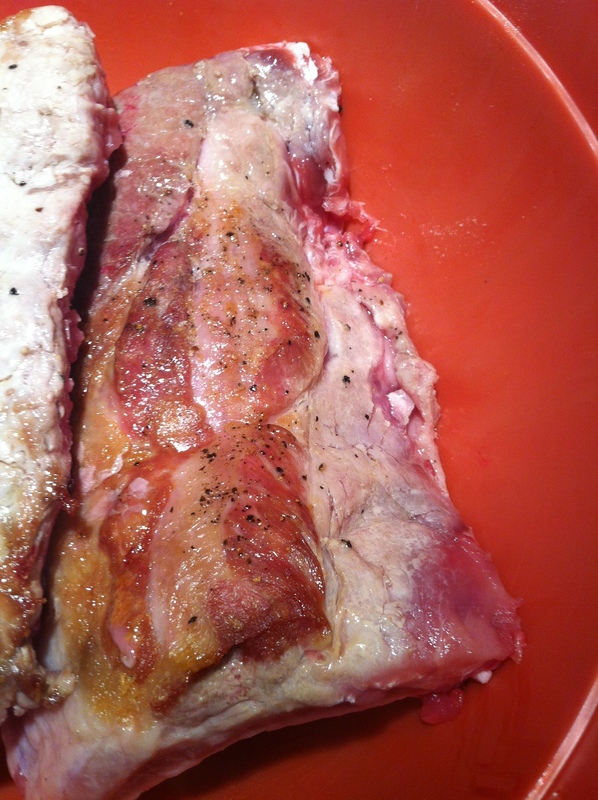 Cover and cook on low until the meat is falling off the bone…3-5 hours stirring every hour or so. When it is done, take out the meat, add a pat of butter and let cook for about 10 minutes. Then add back in your meat. I cooked some yellow rice to go with it. I ignored the directions on the back. Recently, I watched a French cooking show that gave a great tip for cooking rice. Apparently the French don’t really eat a lot of rice, because they hate measuring and don’t want the fuss. So, they cook it like pasta. So I have been doing that ever since (except Risotto). Turns out great each time! Add a pat of butter at the end. Delish! Add a veggie and some crusty bread! Hope you make this and enjoy!